As a guest of Brend Hotels, you are welcome to enjoy a complimentary round of golf on the championship golf course at the Carlyon Bay Hotel if you visit Cornwall during your stay with us. 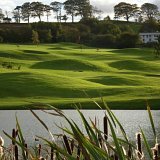 There are also some wonderful golf courses close to the Barnstaple Hotel, with a warm welcome for visitors. If you would like to discuss booking a golf break with us or to find out more please call our friendly reception team on 01271 376221. Price is per person, per night based on two people sharing a Garden Court Room during Winter. 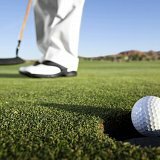 No golf green fees are included in the price quoted. 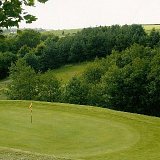 Libbaton Golf Club is within easy reach of Barnstaple at High Bickington, with a beautiful setting featuring hundreds of mature trees. Practice green and driving range. Clubhouse is open to non-members. 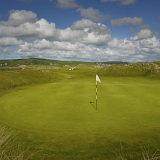 Founded in 1864, the nearby Royal North Devon Golf Club is the oldest links course in the country and also features in Golf World's top 100 courses in the world. 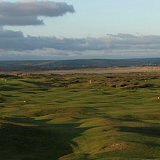 Situated on top of the rugged cliffs of North Devon, this club has some of the most exhilarating views you will find on a golf course. Whatever your level of ability, Portmore guarantees you a great golfing experience. You can choose from a 9 hole par 3 course, or the more challenging 18 hole Barum course. There is also a 27 bay driving range, excellent facilities, and all visitors are made very welcome.